Now please try to install updates again. If you want to keep Outlook 2010 clean and run faster, one method is to set up the AutoArchive feature. 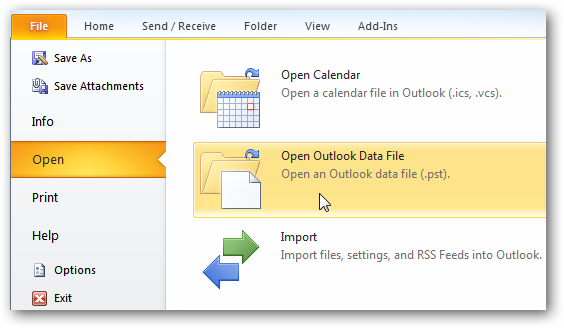 Today we show you how to configure and manage the feature in Outlook 2010. 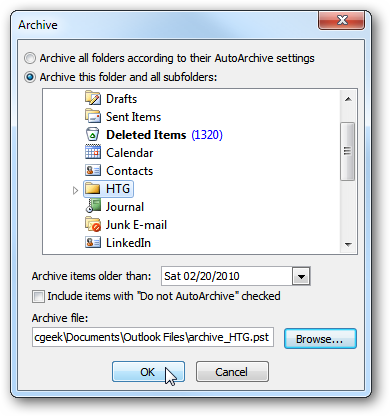 Using AutoArchive allows you to manage space in your mailbox or on the email server by moving older items to another location on your hard drive. 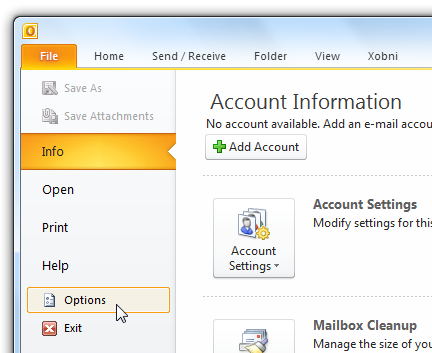 In Outlook 2010 Auto Archive is not enabled by default. To turn it on, click on the File tab to access Backstage View, then click on Options. 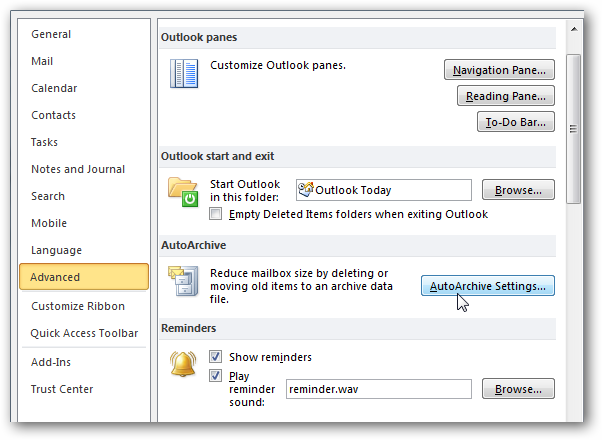 The Outlook Options window opens then click on Advanced then the AutoArchive Settings button. 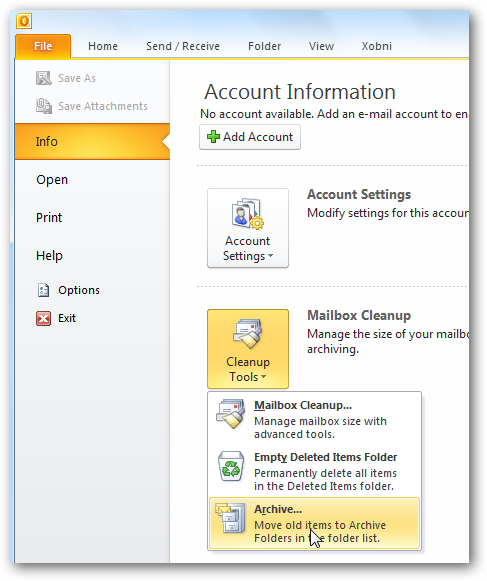 Note: If you select the Permanently delete old items option, mails will not be archived. Now you can choose the settings for how you want to manage the AutoArchive feature. Select how often you want it to run, prompt before the feature runs, where to move items, and other actions you want to happen during the process. 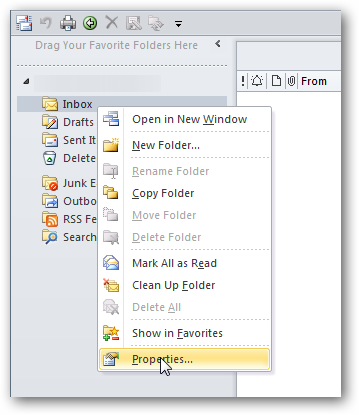 After you’ve made your selections click OK.
For more control over individual folders that are archived, right-click on the folder and click on Properties. 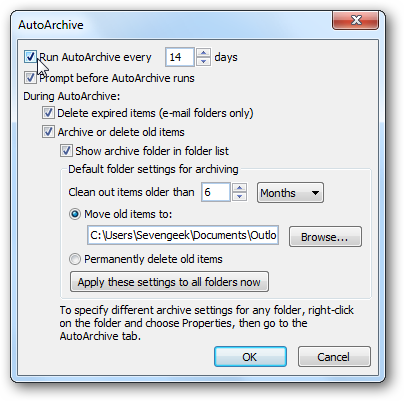 Click on the AutoArchive tab and choose the settings you want to change for that folder. For instance you might not want to archive a certain folder or move archived data to a specific folder. 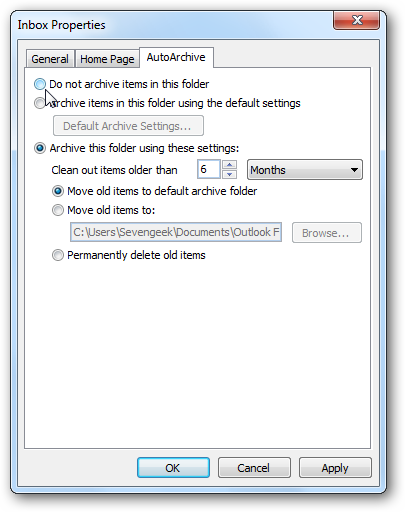 If you want to manually archive and backup an item, click on the File tab, Cleanup Tools, then Archive. Click the radio button next to Archive this folder and all subfolders. Select the folder you want to archive. In this example we want to archive this folder to a specific location of its own. The .pst files are saved in your documents folder and if you need to access them at a later time you can. After you’ve setup AutoArchive you can find items in the archived files. 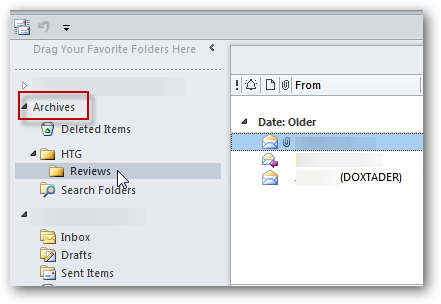 In the Navigation Pane expand the Archives folder in the list. You can then view and access your messages. 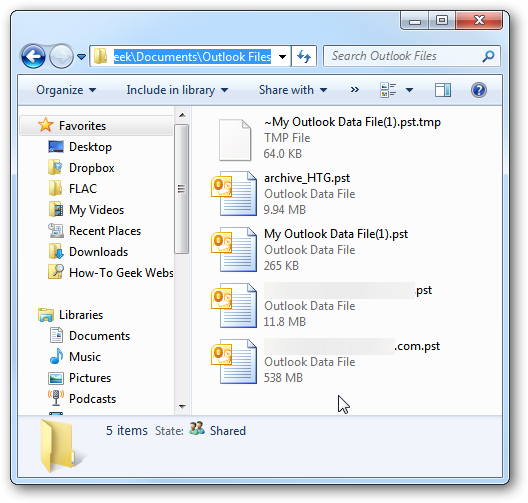 You can also access them by clicking the File tab Open then Open Outlook Data File. Then you can browse to the archived file you want to open. Archiving old emails is a good way to help keep a nice clean mailbox, help speed up your Outlook experience, and save space on the email server. The other nice thing is you can configure your email archives and specific folders to meet your email needs. First off create the share, be it locally on the SBS server or on a different server.Then the following steps need to be taken. Then create a GPO for the Shared drive. Then give your users read ability to the share so they can map the drive(s). You do need to have the Client Side Extensions installed on the client and it also appears that you need the client side extensions installed per user! Another great video from this gentleman. © TechsToGo.ca. Powered by WordPress & WPstart Theme.